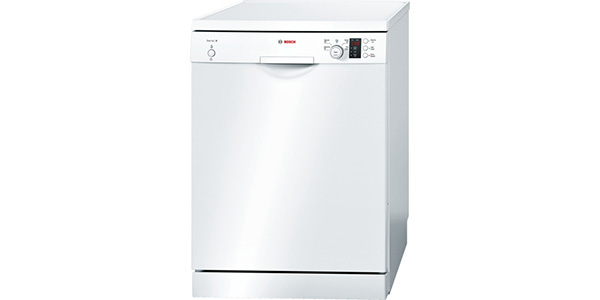 We love this great all-rounder from Bosch. It does everything you're likely to need and comes at a very attractive price. Loads of features, great performance and 97% of buyers would recommend this to a friend - what more do you need to know? 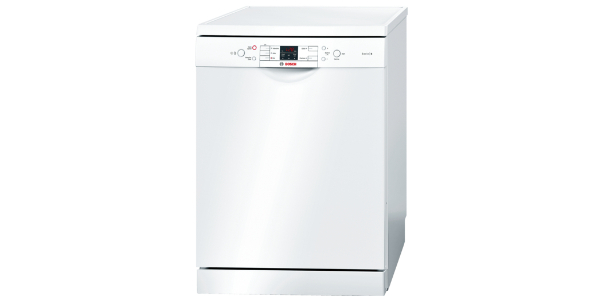 The Bosch SMS50T22GB Standard Dishwasher has 12 place settings, a 195 minute thorough wash, a quick wash and pre wash. It uses 1.04 kWh a year and costs £45.80 a year to run which is about average for a standard sized machine. The dimensions are (H)84.5 x (W)60 x (D)60 cm. This model has been awarded energy efficiency level A+ and it uses 11 litres of water per cycle. 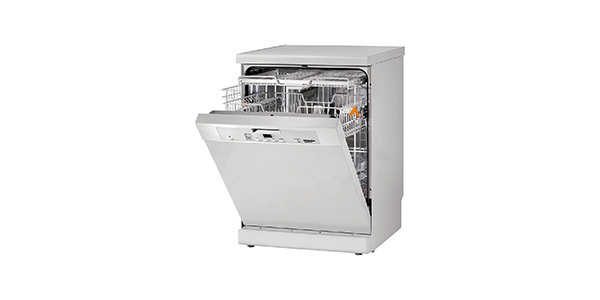 It has a brushless motor system meaning it runs more quietly than many machines at 50 dB and has been graded A for washing and drying efficiency. 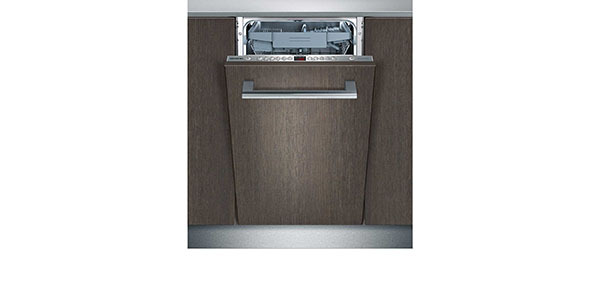 This Bosch dishwasher features an active hydraulic water saving system whereby the rinsing water is used for the pre wash saving water, energy and money. 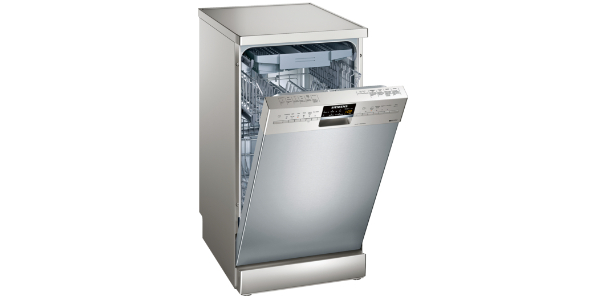 This appliance also features an AquaMix glass protection system. It also has an internal anti-flood protection system whereby the machine will detect leaks and turn off the water avoiding mini floods for added peace of mind. 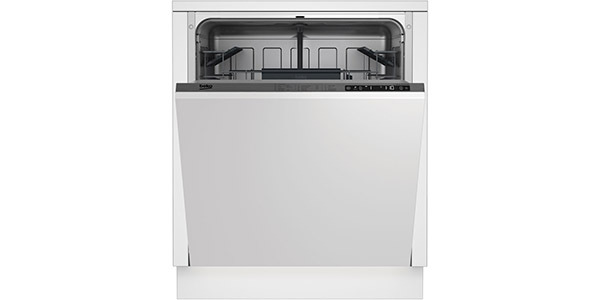 This dishwasher has an upper rack that is height adjustable and fold down racks for bulkier items; it has 2 foldable cup racks in the top basket with 2 below. The interior has a knife rack on the top shelf and 12 place settings so is quite roomy. 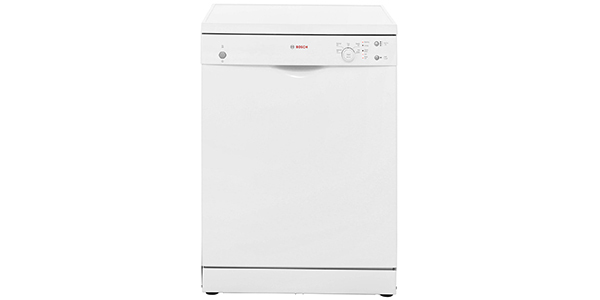 It has 4 programmes – normal at 65°, economy at 50°, quick wash at 45°, pre-wash and a half load option. 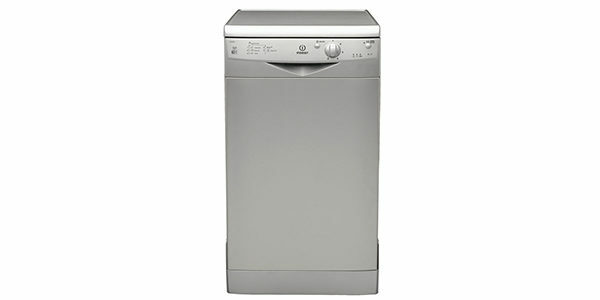 This model also has detergent assist dispenser and a detergent dose indicator. It has 3 temperatures and features a removable cutlery basket. It has red LED indicators for salt and rinse aid. The SMS50T22GB features alternating spiral spray arms and a large spray head. It has a self-cleaning filter system with 3 corrugated filters. It has a stainless steel/polinox interior. Click here to see what more than 200 ao.com confirmed buyers had to say about this model – 97% said they would recommend it to a friend which is pretty impressive we think you’ll agree!! Retailing at around £249 this is a BOSCH at a budget price and, while a couple of customers said the build was not as tough as a more expensive machine, the vast majority were very happy that they got great value for money. The controls consist of a simple dial and buttons to set your programmes. Buyers said they liked the count-down display indicating how long the cycle had to go. Customers also said it was quite straight forward to use. Check out the video review from a recent buyer below and, if you think this could be the machine for you, check our chart below to see who’s offering the cheapest price. Cons? Plenty – our dishwasher repairman explained that Bosch now integrate the design of the thermostat, heating element and motor into ONE unit …. so when your heating element goes after just 2 years of normal use, like ours did, you’re faced with a £180 replacement part plus fitting… so you go out and buy a new dishwasher… which won’t be Bosch. You should of not been charged for the replacement part as you only had your appliance for 2 years. Under the sales of goods act your purchase should be fit for the purpose for 5 years by law.